December 5 is but a few weeks away, and it is a momentous occasion because my first book chapter will be available to clutch in physical form. 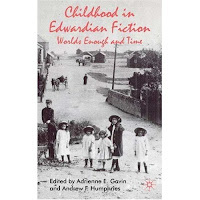 The book is a collection of articles on Edwardian children's fiction and the article is a gripping account of Angela Brazil's school stories (gripping for the few people who care, perhaps). While I am looking forward to being included in academic databases when a few journal articles appear next year, there is something to be said about your writing being "on Amazon". That said, there is a lot of total crud to be found on Amazon. 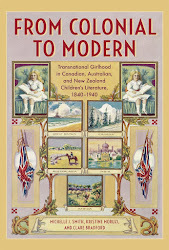 But I will be revelling amongst all that crud, as part of that miasma of millions of real, published titles. Congratulations! Can't wait to read your chapter! Thanks Kris. My first comment-giver! Proof that someone read something on my blog. Apparently 99% (or similar dubious statistic) of blogs are only ever read by the author.